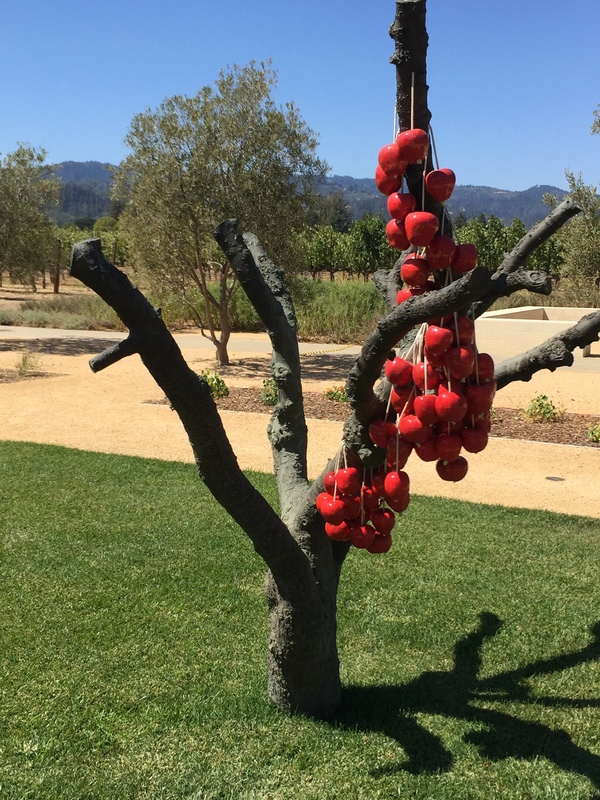 enjoy art, sculpture, stunning natural landscapes, surrounding vineyards and events that help pair extraordinary wines with culinary delights. On a beautiful, late summer afternoon, we sought to discover the Hall experience that began with “Bunny Foo Foo,” a 35-foot high stainless steel rabbit by artist Lawrence Argent, leading us, full stride to the old Bergfeld Winery property . 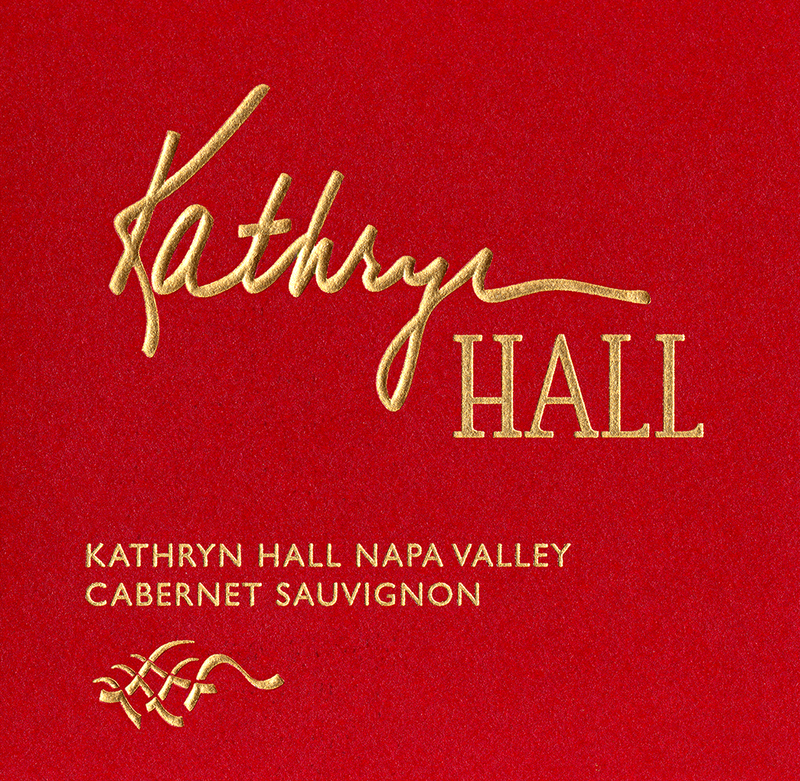 I first encountered Hall Wines in 2012, shortly after the buzz was created when Wine Spectator magazine awarded the Hall Cabernet Sauvignon Napa Valley Kathryn Hall 2008 a 96-point rating, placing it #2 on their Top Wines of 2011 list. Each vintage since, including the 2013 which is still in the barrel, has achieved ratings in the high 90s. An extraordinary wine named for an extraordinary woman. degree and MBA from UC Berkeley, a JD from Hastings School of Law, stints in municipal and corporate law and, from 1997 to 2001 service as United States Ambassador to Austria under the Clinton Administration. While working as an attorney and businesswoman in Dallas, TX, Kathryn carried on her passionate commitment to public office and community service with an extensive list of achievements. Our first taste of “Kathryn’s Cab” since the noble vintage 2008 came in the barrel room with the 2013 HALL Cabernet Sauvignon Napa Valley Kathryn Hall, a wine that is at least a year from release. parlayed an early investment in a small apartment complex into a real-estate empire and, eventually the Hall Financial Group. 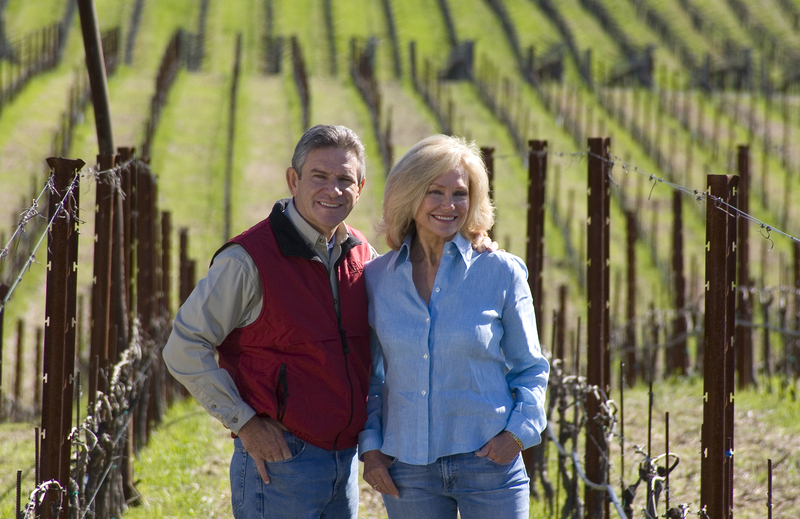 Aside from their successful careers, the both Kathryn and Craig remain committed to a better community with multiple efforts and contributions recognized on a global scale. 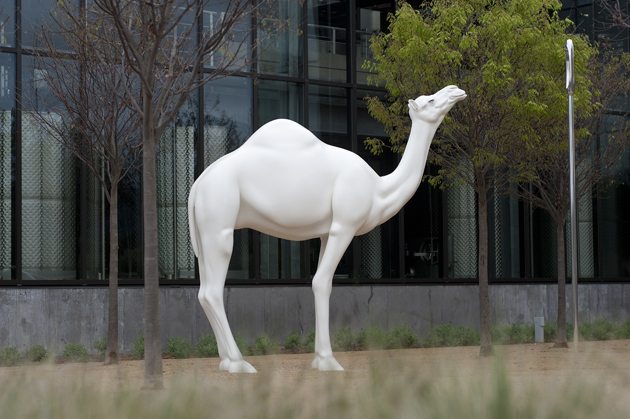 the land with an environmentally efficient operation, great art and architecture and, foremost, first-class wines. 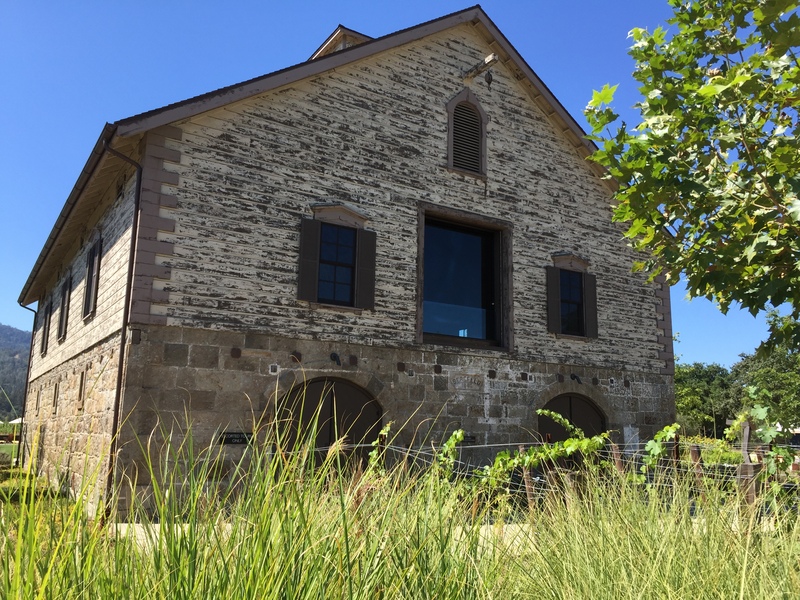 Through sensitivity and innovation, Hall became the first winery in California to attain a Leadership in Energy and Environmental Design (LEED) Gold certification as a fully sustainable facility. What is most impressive is that they have achieved it all without sacrificing design or quality in any aspect of the operation. Part of the Hall aesthetic is the art, both indoor and out. 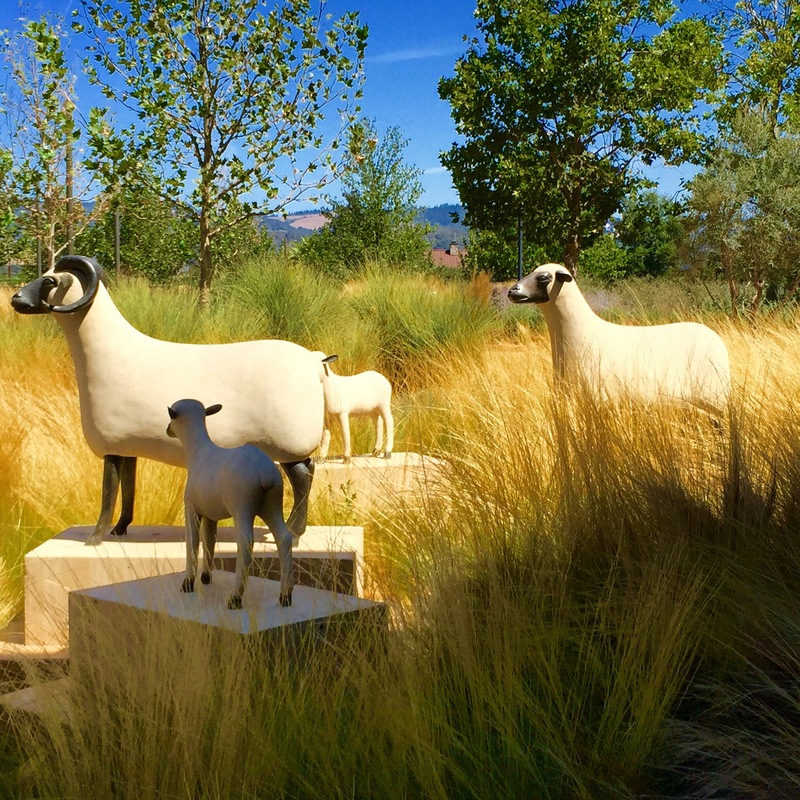 Carrying on the animal theme set by “Bunny Foo Foo’s entry way greeting, access to the tasting room/production facility requires passage by sculptors Francois-Xavier Lalanne’s whimsical sheep, “Mouton Transhumant” and John Baldessari’s recent, blue-eyed “Camel (Albino) Contemplating Needle,” both setting the mood to taste some exceptional wine. Winemakers know that it all starts in the vineyards and at Hall, the best stock of all organic grapes sets the tone and precise viticulture delivers the result. This was evident in the 2012 HALL “Ellie’s” Cabernet Sauvignon ($80), a Cabernet Sauvignon (79%)/Merlot (21%) blend named for Craig’s mother who was a WWII Navy veteran and navigator on a ship. Merlot fosters softness to the young wine, with floral and herb influences that coexist with flavors of black currants, earning a 92-point rating from Wine Spectator’s James Laube. The art and wine theme continues in a very unlikely fashion with the dense 2012 HALL “Jack’s Masterpiece” Cabernet Sauvignon ($125) which originates from several vineyards in the Napa Valley. The wine results from current HALL President Mike Reynolds’ annual honing of his winemaking skills. With plenty of spice on the nose and palate, it delivers a creamy, chewy mouthfeel and rich flavors heavily influenced by 24 months in new French oak. The label of this luscious, soft Cabernet adorns “Jack’s Masterpiece,” a drawing by Reynolds 18-month old son as a Father’s Day gift; a clear improvement over my plaster “hand print” wall hanging. Taking a break from these alluring Cabernet Sauvignons, we tasted two pinot noir varietals from the Anderson Valley in Mendocino County, produced under their WALT label. 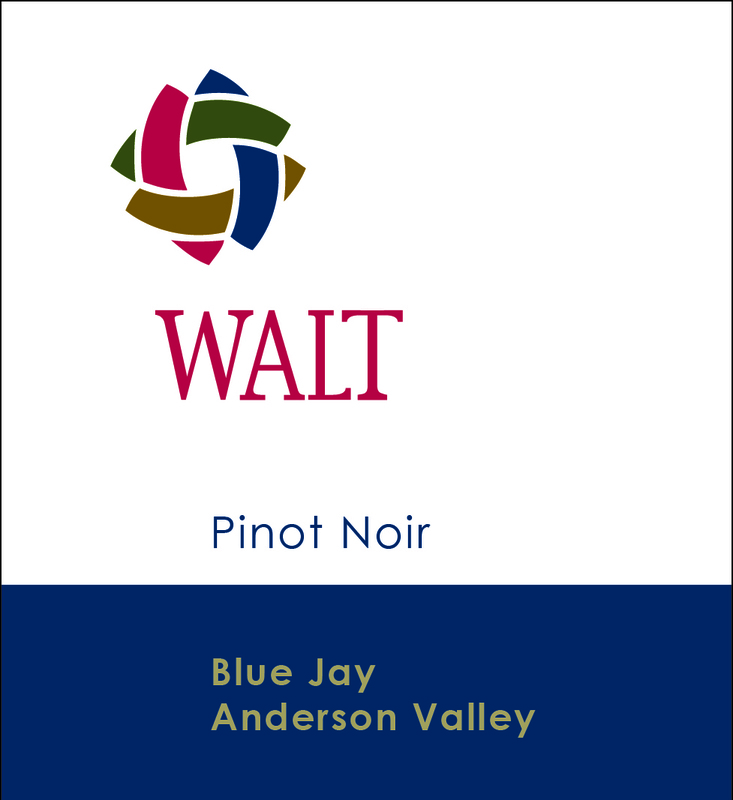 Offering very forward cherry and boysenberry flavors, the 2013 WALT Pinot Noir “Blue Jay” Anderson Valley ($40) has a rich mouthfeel with hints of baking spices. Our host, Colin, suggested that this wine surprisingly pairs well with BBQ ribs. it among the higher echelon of the varietal in California. Hall wines, mostly Bordeaux varietals, come from over 500 acres under vine among five unique estate vineyards ranging in location from the valley floor, the Pope Valley to the northeast, Sonoma County and the nearby Vaca Mountains. 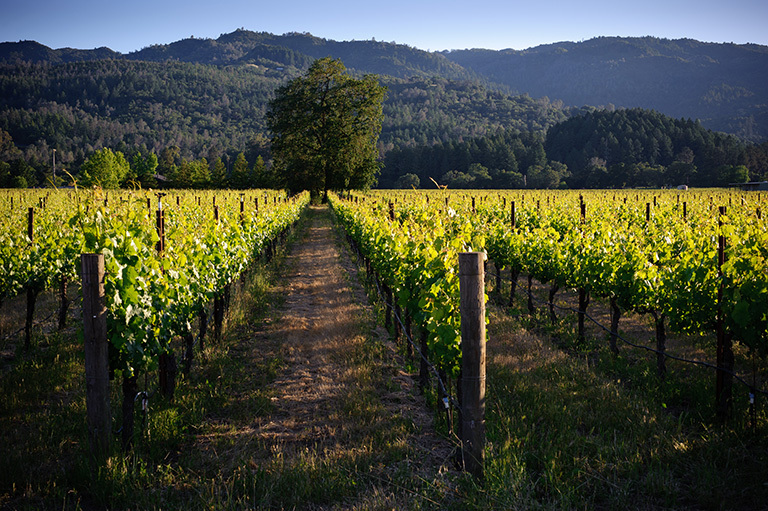 The St. Helena Valley historic Bergfeld Vineyard that surrounds the winery was first planted in 1859 by sea-captain, William Peterson who later sold it to the Bergfeld family. The hot valley floor with surrounding mountains as a gorgeous backdrop creates the perfect terroir for Cabernet Sauvignon and a testament to our final wine. Parker. Sourced from the Bergfeld and Sacrashe Vineyard in nearby Rutherford, this Cabernet Sauvignon (75%) and Merlot (25%) blend has complex aromas and very concentrated, rich fruit flavors with depth, texture and the soft lingering finish of a classic. 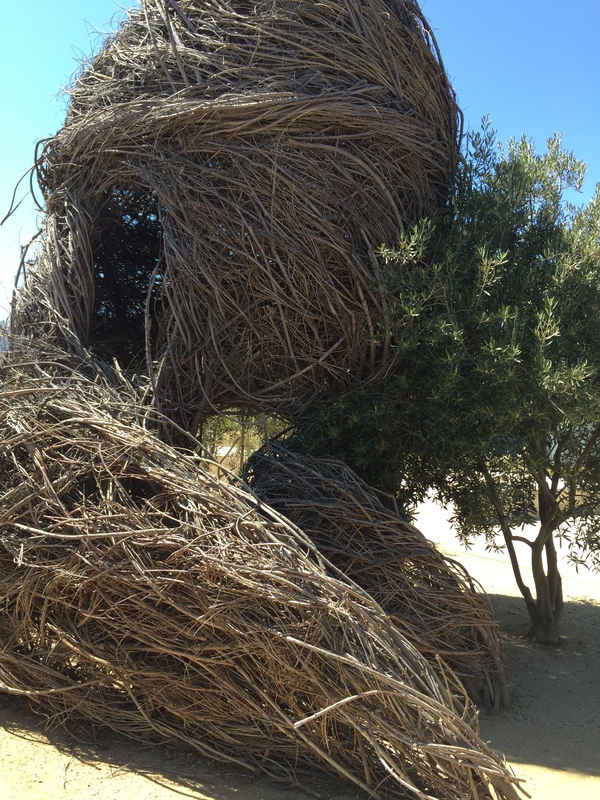 As we concluded our stroll through the sculpture garden among pieces like Anya Galleccio’s surrealistic apple tree entitled “Because Nothing Has Changed” and one of Patrick Dougherty’s interwoven twig houses called “Deck The Halls,” I fully appreciated being there among the spectacular natural beauty of the valley, all driven by the creation of fabulous wines and preserved in a most caring and holistic manner. Hall Wines are not for everyone but the experience is unparalleled and clearly the result of good old American initiative and hard work. There are several other wineries in the immediate area and the quaint, high-end town of St. Helena, with its restaurants, art galleries and shops, should be a definite stop during your next Napa Valley excursion. 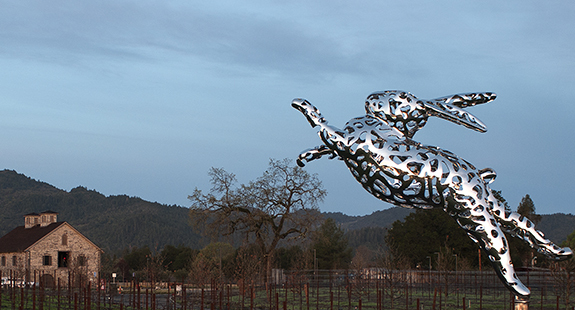 This entry was posted on Friday, September 11th, 2015 at 9:01 pm	and tagged with "Bunny Foo Foo" by Lawrence Argent, Kathryn Hall, Napa Valley and posted in Art and Sculpture, Wine. You can follow any responses to this entry through the RSS 2.0 feed.